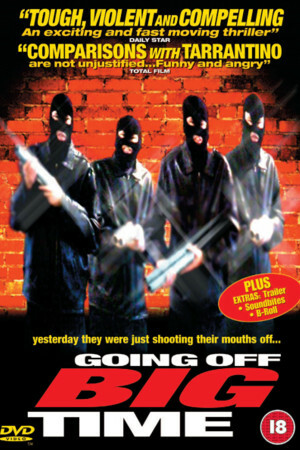 Going off Big Time is a British crime drama. Told in flashback from the flat of his attractive solicitor, Stacey (Sarah Alexander), Mark Clayton (Neil Fitzmaurice) is in the wrong place at the wrong time and finds himself doing four years for assaulting a police officer. He adjusts to prison life and begins to stand up for himself against the system that failed him. He makes new friends in prison – charismatic old lag Murray (Bernard Hill) and young hothead Ozzi (Dominic Carter). When they’re released, after a chance meeting Mark and Ozzi join forces to form a gang and plan to take over control of Liverpool’s criminal underworld. They are keen but desperate. Any scam will do – even dealing drugs from an ice cream van. Mark is smart and the new gang is powerful and successful. But Ozzi is a loose cannon – violent, crazy and uncontrollable – a time bomb about to explode.